Many old tensions from the Cold War have resurfaced in the current Ukrainian security dilemma as the Iron Curtain is redrawn across Europe. The conflict in Ukraine has instilled deep concern in all parties involved since violence erupted during protests in 2013. The protests are the result of Ukrainian president Viktor Yanukovych’s decision to cancel preparations to sign an association agreement with the European Union (EU). This agreement would have continued an ongoing process of Ukrainian integration with the EU by opening Ukraine to more trade from the EU and setting a foundation for more freedom of movement across EU member nations. Russia, a former global hegemon, feared further encirclement as Ukraine began to tilt toward Western Europe. Unsurprisingly, Russia took actions to prevent this process and secure strategic interests, such as Crimea which housed the Russian Black Sea Fleet. The eastwards movement of western institutions is a process that Russian leaders have frequently witnessed since the end of the Cold War. During negotiations in 1999, 2004 and 2009, former Russian satellite nations and allies were incorporated into NATO. This goes against several high level discussions near the end of the Cold War. NATO claims, however, that there have “never been political or legally binding commitments” that NATO would not expand eastward. The parliamentary ousting of president Viktor Yanukovych, which had resulted from the pressure protesters placed on lawmakers, was viewed as a “bandit coup” by Russian leaders that had favorable relations with the Ukrainian president. Leaders from the EU and the United States are concerned, however, about further Russian aggression due to the violence that has transpired during this civil and international conflict. Ukraine now stands deadlocked between two opposing sides that have divided the country. In the east, rebels supported by the Russian government find themselves in open conflict with those that want to side with the West. The Ukrainian government faces incredible hurdles in order to re-assert its sovereignty and maintain its original borders; Ukraine must negotiate with newly independent regions in East Ukraine and Russia for Crimea. The strongest supporters of restoring Ukraine’s borders, the United States and the European Union are divided over how to achieve this objective. For much of this crisis, the United States and Europe have attempted to cooperate in order to form a strategy that unites Ukraine under democratic principles that would allow progress toward closer integration with the West. The United States has the ability to construct a coherent strategy to combat Eastern separatists in Ukraine through the use of very strong sanctions and military support. In the EU, however, there is a lack of policy coherence due to the fact that the EU is not unified in its response to the crisis. While the member nations of the EU can choose to act unilaterally, a combined response from the entire EU would produce an outcome that would signal strength and solidarity to Russia. This lack of cohesion has enabled the Russian government to strategically pull smaller European states away from action in Ukraine that would harm Russian interests. For example, in late January, the new Greek government showcased its ties with Russia in order to gain more bargaining leverage in upcoming debt talks. The Greek case is one among many others where EU member nations have opted to take less punitive measures for Russian involvement in Ukraine. The lack of unified action from the EU comes from how it makes its decisions. The EU must make decisions through a combination of supranational and intergovernmental institutions consisting of the Council of Ministers, European Commission, and the European Parliament. Since little consensus exists among EU member states, the EU is gridlocked over the security decisions it will take to confront Russian aggression. The current situation in Ukraine begs the question as to whether or not the EU still gains economic or political advantages from pursuing intervention in this conflict. Prior to Russian intervention, Europe’s benefits of gaining Ukraine as a trading partner were minimal compared to now. Prior to Russian intervention, the EU would have needed to make marginally small investments into infrastructure that could facilitate trade and decrease corruption. However, due to recent military actions, costs have risen significantly. In times of conflict, nations have several considerations when deciding how to respond to aggression. Building defenses or training and arming individuals in Ukraine is costly and increases the risks of confrontation with Russia, a catastrophically high cost in and of itself. By arming rebels in Ukraine, Russia is implementing a strategy with a higher risk of war, but the gains that have been made since late 2013 are clear. Russia now holds Crimea and is in a good position to maintain a buffer from the West through rebel-held regions in Eastern Ukraine. 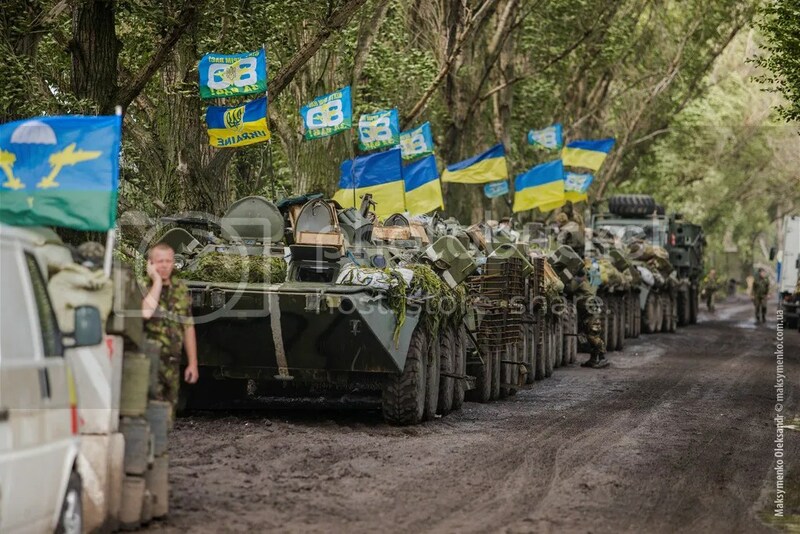 On the other hand, if Europe and its allies wish to help Ukraine reclaim sovereignty, significant amounts of money would need to go into military spending. Given an expected 12% contraction of the economy this year alone, additional spending would also need to be made for reconstruction to make Ukraine viable again. Given how the EU’s cost expectations for closer association with Ukraine have increased significantly, the West is walking through a proverbial minefield as it makes future decisions. Despite sanctions, which have contributed to the devaluation of the Russian Ruble by more than half and produced a 3 percent contraction of the Russian economy in the last 12 months, many member nations are now questioning whether further sanctions would actually have any effect in curtailing Russian aggression. Putin’s approval ratings were at 85% at the start of the year. With this information, EU nations are skeptical that sanctions will have any effect in the current situation. The question of deploying EU ground personnel in Ukraine is an entirely different matter altogether. Many have asked the European Commission to strengthen the Organization for Security and Co-operation in Europe’s (OSCE) mandate in Ukraine. With some hesitation, the OSCE’s mission in Ukraine was extended for an additional 6 months in March. The mission calls for monitoring of the situation as well as facilitating talks between parties in Ukraine. The OSCE mission is to go in tandem with the second Minsk Agreement that was signed in February that called for a ceasefire in Ukraine. Few nations are willing to strengthen the mandate to go beyond monitoring and observation. Since the start of hostilities in Ukraine, NATO was quick to respond with missions spearheaded by the United States. Given the United State’s military contributions to NATO, it played a large part in strategy design. Because of the efforts of NATO and the United States, member states around Ukraine have been armed and continue to train for the possibility of future Russian aggression. Additionally, very expensive war games are ongoing in the Black Sea. While the war-games do little to de-escalate violence in Ukraine, they serve to signal to Russia the consequences of further aggression in other Eastern European states. The United States has pressed forward with some reluctance from its EU counterparts, but given the massive military contributions provided by the United States, few states can form a cohesive bloc that can disagree and prevent action. German commanders are not pleased with the large divide between its commanders and those of NATO which are taking more aggressive military stances. Other Western European members such as France also believe the US is behaving in a manner which is too hawkish. A response from members of the European community has formed. The president of the European Commission, Jean-Claude Juncker, announced on March 12 the need for an exclusive EU military force. There are several reasons why an exclusive EU military is necessary and unnecessary. The suggestion by the Commission President and Germany’s backing points toward the rift in the strategic partnership between the United States and the EU. The United States pushed forward initiatives through NATO that would arm rebels in Ukraine. While the United States has pushed for increased armament, the European community, led by Germany and France, wants to prevent further escalation of conflict and spillover into neighboring regions. This is clearly observable in the diplomatic route that was taken February in the signing of the second Minsk agreement negotiated by Russia, Ukraine, France, and Germany. Through the suggestion of an EU military, observers can see the strain that the Ukraine crisis has had on the US-EU relationship. The creation of this force would give the EU more control over forces in the region and could allow the institution to move further away from US influence through NATO. The mere suggestion of an exclusive EU military force by high level officials outlines an apparent fault line between the EU and US. The EU and the US have generally worked together in a unified manner to resolve security concerns, but this recent turn of events in Eastern Europe highlights the divergence of preferences between all sides that has been becoming more apparent in the last decade since the 2003 invasion of Iraq. To the benefit of the United States, the creation of an EU military force is politically unfeasible in the EU due to the fact that few members would be willing to agree to pay for these forces and set the EU on a course that could lead to further detachment of the US from Europe. Although these conditions are always subject to change, this is not a foreseeable option for the duration of this conflict. While the strengthening of the OSCE mission is difficult to pass through EU legislation, it is nowhere near as politically unfeasible as an exclusive EU force. The current matter in the Ukraine stands as a frontline for many world superpowers. Since the end of the Cold War, president Clinton and Bush have taken steps to expand NATO beyond the comfort levels of Russian leaders. Unsurprisingly, Russia did not stand by idly while Ukraine, one of the most important states within the USSR, began to tilt westwards. President Putin has already shown his willingness and commitment to maintain a buffer from the west. Given the violent turn of events as the EU and US attempted to incorporate Ukraine into their framework, both powers must consider the ramifications of further expansion. It is clear, however, that the US and EU have divergent preferences. The United States is much more willing to risk war than Europe. This comes from the fact that the United States was willing to give the EU a blanket of defense while it formed so that the EU could focus on other domestic policies. While respectful of the United State’s contributions to the creation of the EU, many EU states have not been as willing in the last decade to support the United State’s military actions. This rift has become much more apparent in the last few months as the US has taken hazardous steps to ensure its preferences are achieved within the Ukrainian security crisis. Russia has been fast to respond to this and has successfully prevented more severe action against itself by dividing Europe through bilateral negotiations. While Europe battles itself and the United States, Russia’s strategy has successfully ensured that Ukraine will not side with the west for a considerable length of time. At the end of the Cold War, the line between East and West was temporarily blurred, however, as Russia regains economic capacity and military strength, the world will find out to what extent Russia will permit the line to move.